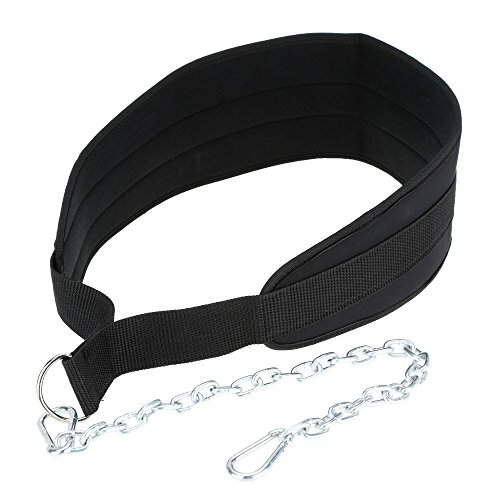 Fitness Equipments Dip Belt Weight Lifting Gym Body Waist Strength Training Power Building Dipping Chain Pull Up by Bleiou at Workout Schedule. MPN: DH-13. Hurry! Limited time offer. Offer valid only while supplies last. Features: One size fits for all. It can sustain weight of 80kg. Ideal for weight lifting, powerlifting, gym training or any lower back pain relief. If you have any questions about this product by Bleiou, contact us by completing and submitting the form below. If you are looking for a specif part number, please include it with your message.